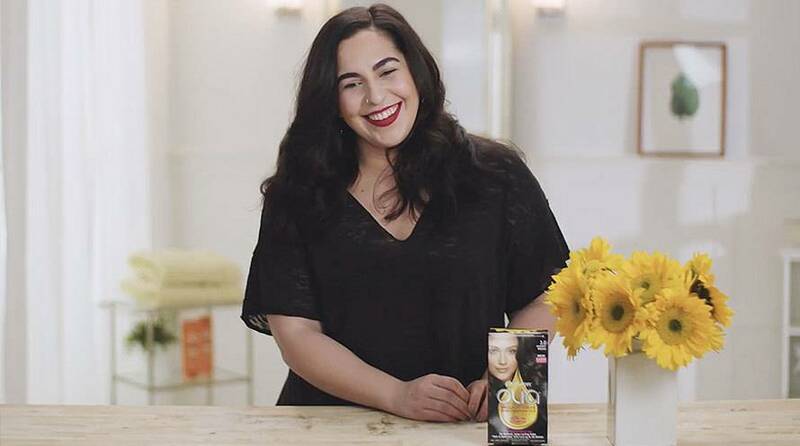 Garnier Olia shade 5.3, ""Medium Golden Brown,"" has brilliant, golden tones that will add warmth to your medium brown shade. 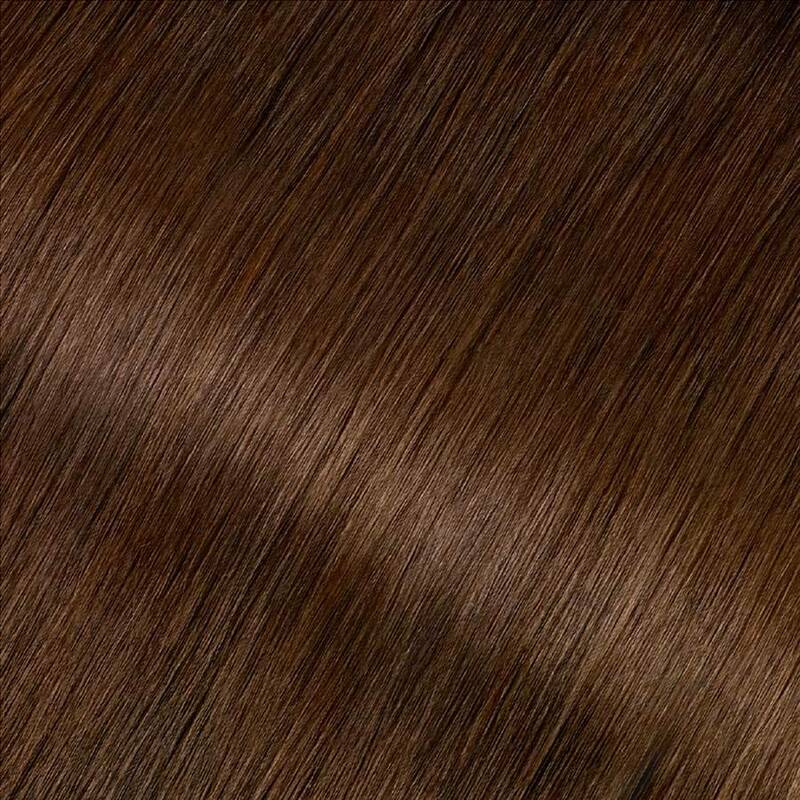 It will provide 100% gray coverage and is best for anyone with natural hair between light brown and darkest brown. If you prefer a lighter shade that has golden reflects, try shade 6.3. For a darker shade, try shade 4.3. If you would like to remain in the medium brown range but would like to explore other reflects and tones, there are many shades to choose from including 5.0, 5.03, and 5.60. *For women with currently color treated hair, there are special considerations for the color result you can achieve. Because of this, we do not recommend shade 5.3 for hair that has been previously colored shade 3.0 "Darkest Brown" or darker. For more help, use our Shade Selector Tool to find the perfect shade for you! Rated 3 out of 5 by Ellen C from Great color/messy application I have been using this product for a couple of years! I always get compliments on the color since most people think it’s natural. HOWEVER, they changed the formula and it is way too runny. Not too bad when I used the brush but when I used the applicator bottle it dripped like crazy! Bring back the old formula! Rated 5 out of 5 by TammyT from LOVE Olia!! LOVE this hair color! Ammonia based hair colors left my hair very dry - feeling like straw. 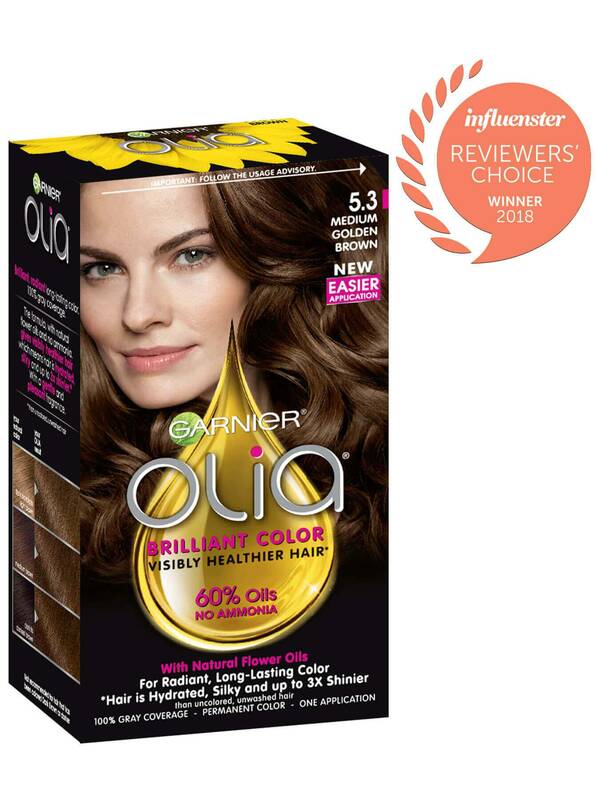 This oil based color leaves my hair soft and shiny. No weird colors that have to wear off. Doesn't fade over time. LOVE, LOVE, LOVE this Olia!!!! Rated 2 out of 5 by Rosanne from Mixed feeling New packaging and product review: Yeah for gloves that can fit a normal person. Boo for the applicator - I made a mess becasue it kept oozing out of the tip after I stopped squeezing. Boo for the liquidity - drip, drip - on me, on the floor. Boo for the bottle used for the conditioner - too rigid to squeeze all of the contents out. Go back to the old packaging, except for the gloves. Rated 2 out of 5 by Huachuca from Love the color. Hate the bottle!! I have dyed my hair for 20'years. I have never ever "dropped" a bottle. Whoever designed this new cute "teardrop" bottle obviously did not think it through or test it with gloves on that are covered in product making the bottle nearly impossible to hold. I dropped it more times than I can count, at least five going by the stains now on my bathroom rug. Horrible design!!! I like the color but definitely will not Buy this product again as long as it has this bottle.